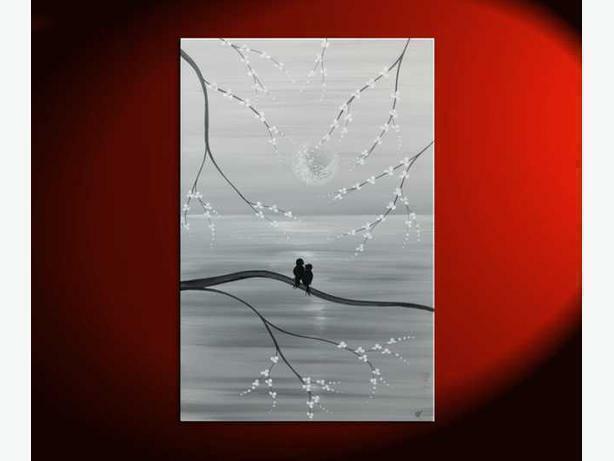 Original Acrylic Painting called "Perfect Contentment"
The size is 24" wide and 36" tall on a 1" deep stretched canvas. Sides are painted black, no frame is required for a beautiful contemporary look. The painting is varnished creating a museum quality look and comes ready to hang. I accept paypal (nat_van@hotmail.com), money order, or check. SHIPPING IS FREE to anywhere in Canada and I also deliver in Ottawa every Sunday for $5 per painting in person.